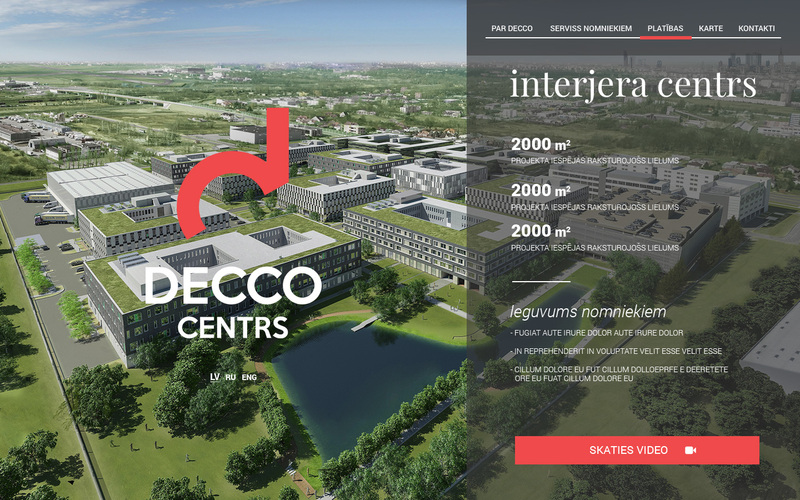 Our team of designers and programmers has developed a logo and website for Decco Centrs. The BRIGHT team successfully dealt with a number of challenges among which was development of an interactive map of the shopping centre. The format of the map has a function where one can mark one or multiple areas to obtain measurements and other relevant info about the specific area and multiple areas combined. 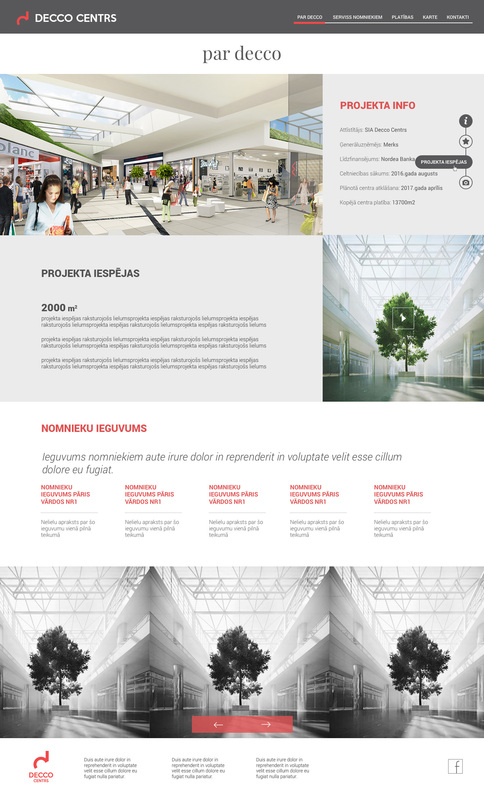 BRIGHT developed an interesting and innovative solution for presenting such detailed information.